Now established as the indispensable formulary in psychopharmacology, this latest edition of The Prescriber's Guide has been completely revised and updated to reflect the most current practice in the use of psychotropic drugs. Easy to navigate and easy to use, The Prescriber's Guide combines evidence-based information with clinically informed guidance to support clinicians in making the most effective prescribing decisions for the good of their patients. 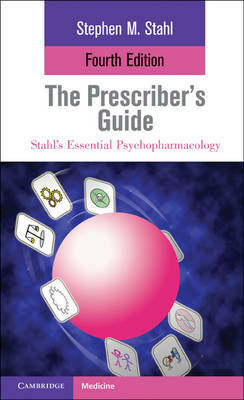 With coverage of twelve brand-new drugs - including antidepressants, antipsychotics, hypnotics, nonstimulants for ADHD and medical foods - and incorporating information on the newest indications, new formulations, new recommendations and new safety data, this edition continues to provide the essential practical support required by anyone prescribing in the field of mental health.